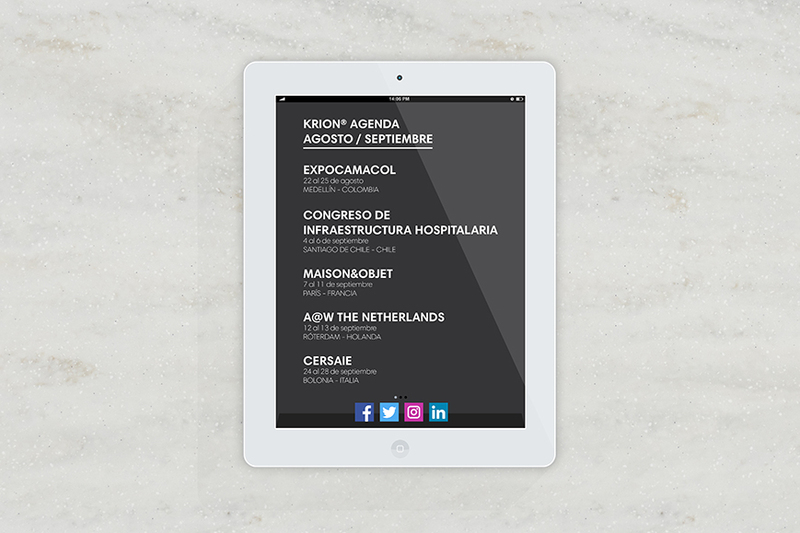 KRION® will be present at numerous trade fairs in August and September. This is our schedule for the next two months. Exhibitions, presentations and new products that you will be able to find at our stands.